MOVON develops in-vehicle image processing algorithm. 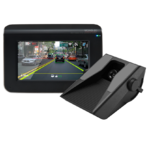 We are a leading company in the automobile industry with camera based safety technology such as LDW(Lane Departure Warning), FCW(Forward Collision Warning) and HBA(High Beam Assist). and is dealing with car accessories like black box, AVN and so on.